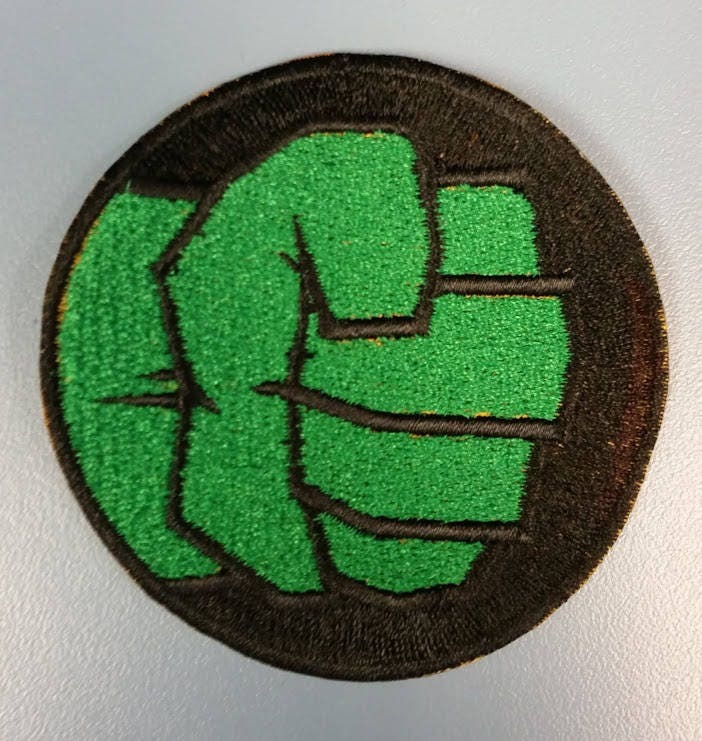 This 3" circle patch shows Hulks fist sewn in green on a filled black background. 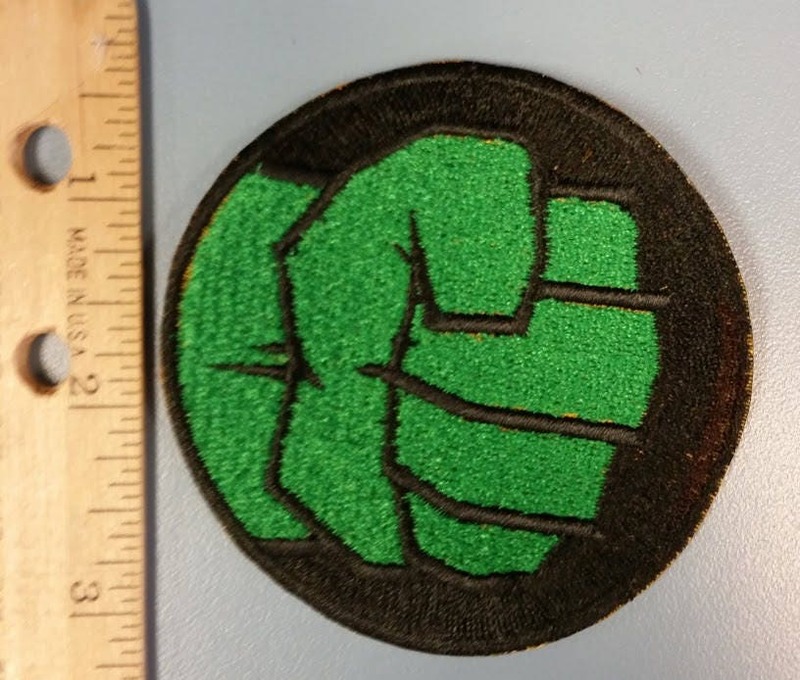 It has an iron on adhesive to make application easy. 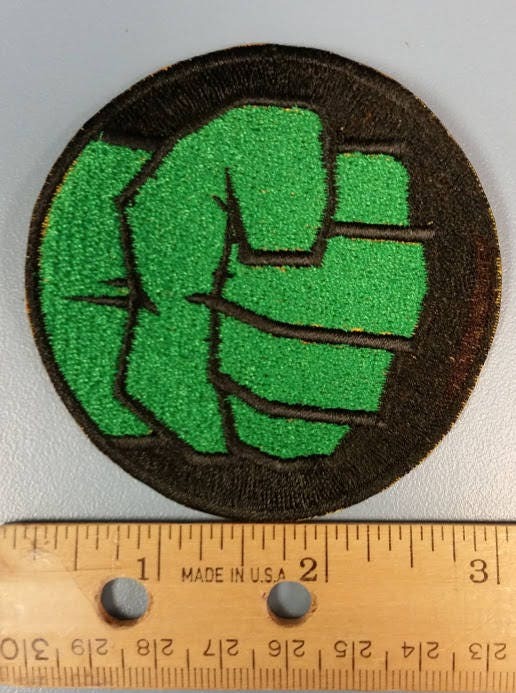 Check out some of my other items to combine with your order and save on shipping.